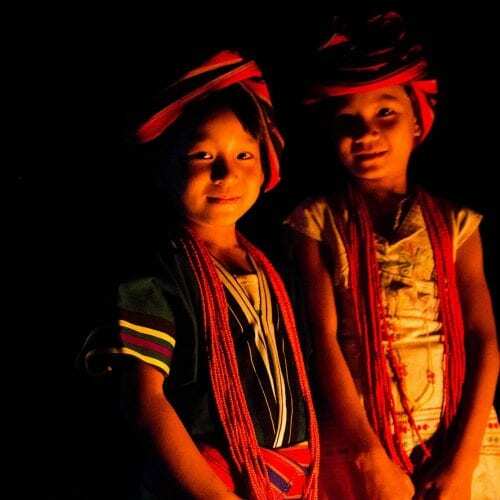 Chin State is located in the far west of Myanmar. 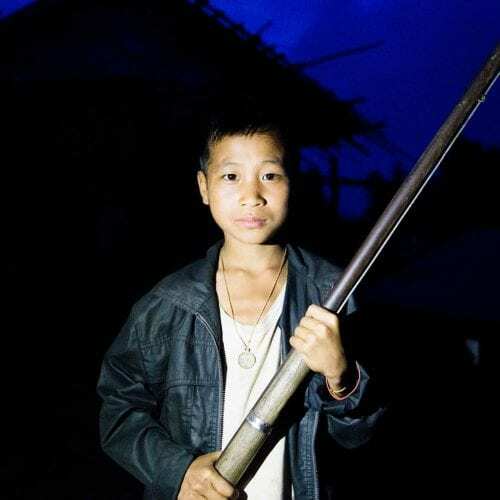 Due to conflicts between the government and the Chin people, the state has been closed to all outsiders for a long time and only recently reopened. 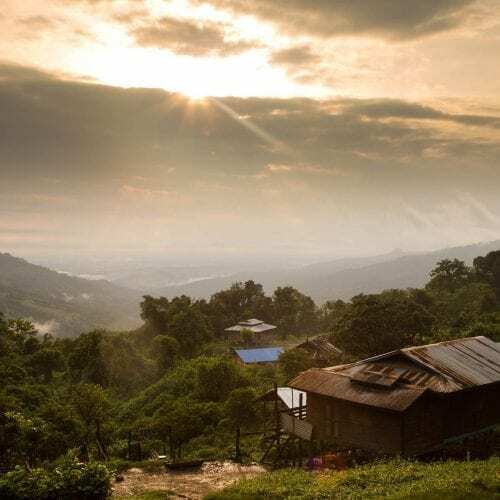 However, despite the area now being open, there are still not many visitors due to bad infrastructure and a lack of information about the region. 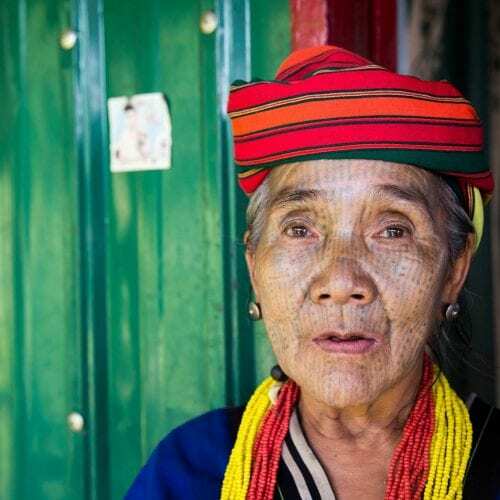 The Chin people are a unique ethnic group well known for their tattoo faced women, a practice that has been banned by the government for some time and is facing extinction. Before I traveled to this fascinating state I thought it was about all about those tattooed ladies, but it turned out to be much more! Of course I was fascinated by the tattooed women, however there is more to this amazing state. 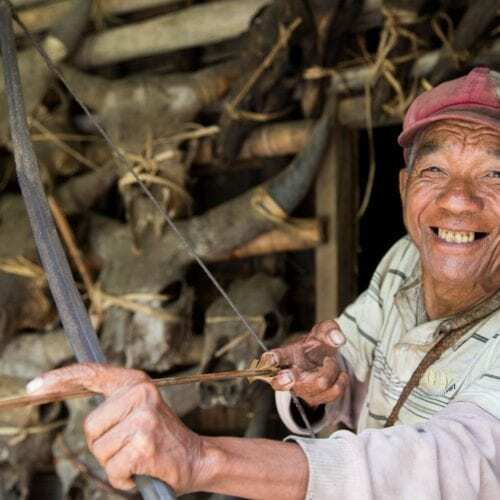 This man for example has been a hunter all his life, in fact he is the most famous and most respected hunter in the entire area. Proud of his profession he didn’t mind striking a pose for the photo. The skulls displayed in front of his house show his wealth, the more skulls the wealthier the person living in the house. After two long days of exploring the area around Mindat my guide brought me to a place he has only visited once before. A very isolated Chin community who has only seen 1 foreigner prior to my visit. It was a truly remarkable experience and the fact that they were as curious to meet me as I was to meet them was a refreshing. In fact, the chief of the village was so honored by my visit that he proposed to offer a goat. After refusing several times there was no other way than accepting the gift. Minor detail was that I had to shoot the goat myself with the gun the little boy in the photo is holding. This was the beginning of a magical night. The night turned out to be a huge village party. After lighting a big bon fire the village chief dressed up and performed a ceremonial dance. This dance is only performed twice a year so this was not only a very special moment for me but also for the younger kids in the village, who attended the party fully dressed in traditional clothing. By the look in the kids their eyes you could tell how fascinated and proud they were to see the dance. One of those nights that are hard to explain if you weren’t there. There are different stories about the reason why Chin women tattoo their faces. The first one is to prevent different tribes from stealing women from each other. 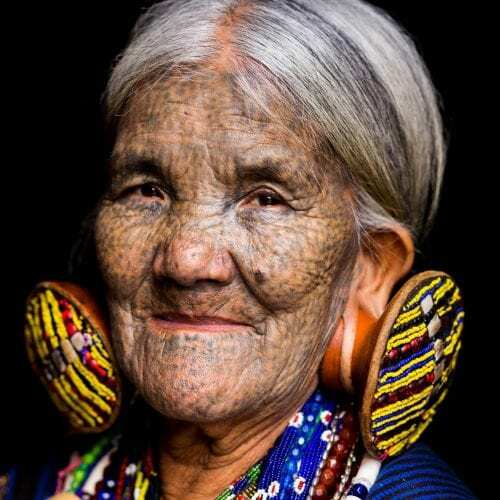 By tattooing different patterns, the Chin people were able to distinguish women from each community. The other reason is a story about strength and power, with those tattoos they say the women are able to cross a wild river and open the door to heaven after they pass away.